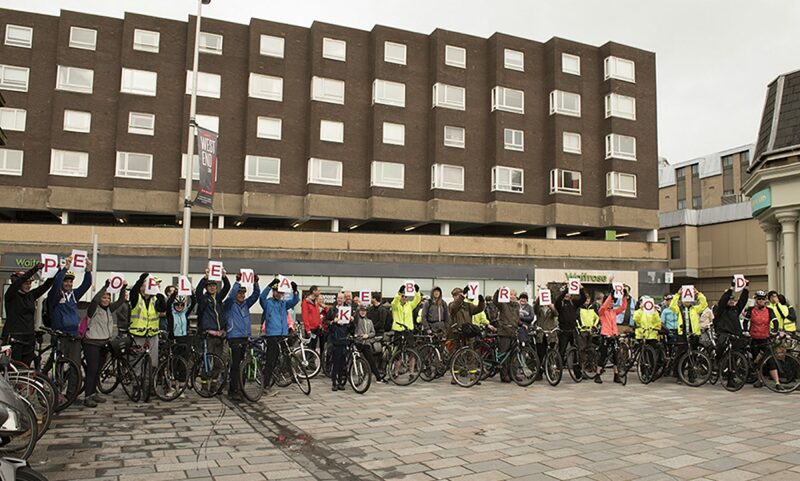 Recently GoBike has responded positively to proposals from Glasgow City Council for stopping waiting and loading/unloading on the roads in Riverview, see photo, to Mark Ruskell’s proposals for a 20mph urban default speed limit in Scotland, to public realm improvements at Govan Cross and to parking controls in Cranstonhill. Details may be seen on our Consultations page. If you wish to comment on the most recent of these, ie the waiting restrictions in Riverview, the consultation is open until Tuesday 13 June and all the details may be found here on the Glasgow City Council website. The Mark Ruskell 20mph consultation is open until 07 August and it is important that people respond – favourably – to this! Please support this measure! Previous PostPrevious GoBike ride Sunday 04 June – over the hills to Lochwinnoch, but flatter on the return! Next PostNext Glasgow to install more “Speed Cushions”. Please object – and here’s why.